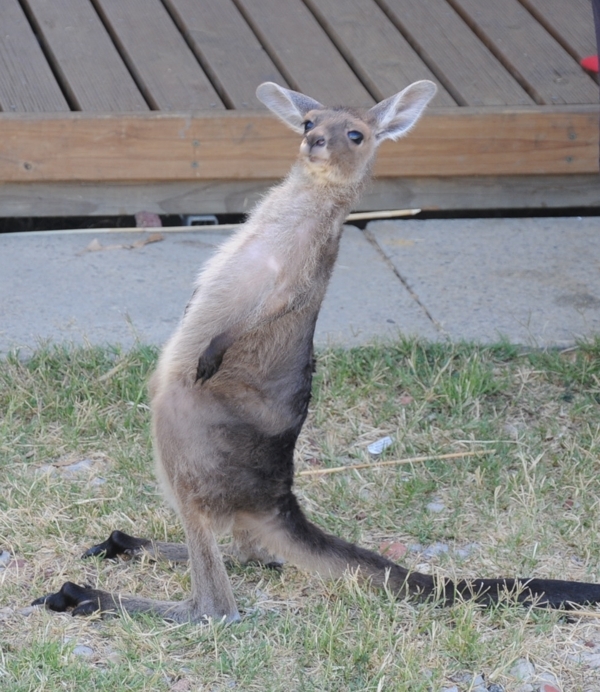 Shortly after protesters had dispersed from Preston Beach on the 5th of May, 2010 the kangaroo shooters moved in. The following morning residents were horrified to find blood stained walkways along with injured and dead joeys. An RSPCA investigation found no evidence of cruelty despite photographic evidence of a decapitated juvenile kangaroo on the border of Yalgorup National Park. The RSPCA whitewash of this government sanctioned slaughter inevitably cheapens the value of kangaroos in the eyes of some members of society. 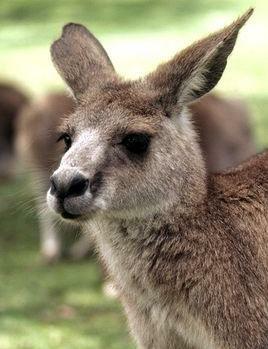 Sadistic acts of kangaroo cruelty are commonplace. You need look no further than the carnage left behind after one of these culls to see where much of this cruelty stems from. The RSPCA are supposed to represent "All Creatures Great and Small" but a sheep or kangaroo in Western Australia can expect no mercy from this organisation supposedly empowered to protect them. 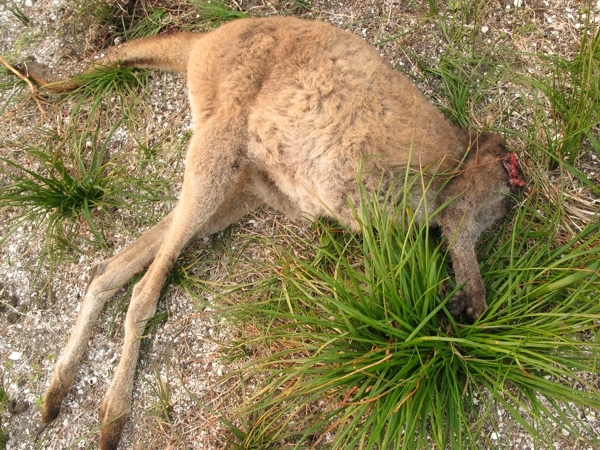 This week two 19 year old men appeared in Albany magistrates court charged with animal cruelty after they dragged a kangaroo behind their car. Will these two get just another slap on the wrist like the Dawesville pair last year ? 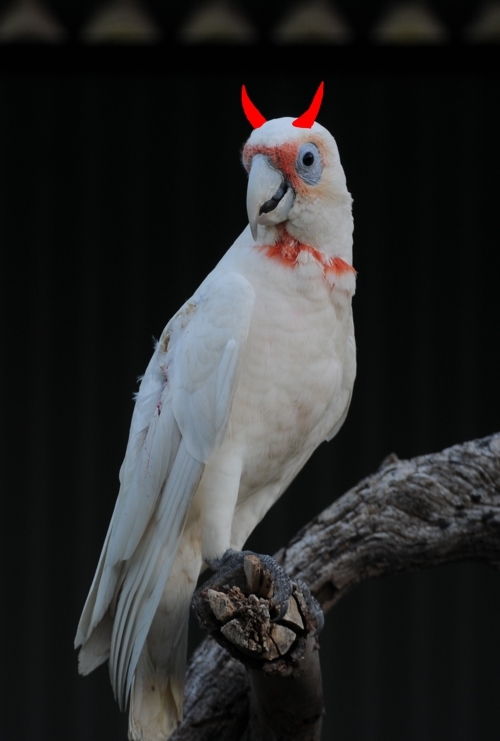 Corellas are one of the most visible birds in many Australian cities, any proposal to cull their numbers inevitably causes some controversy. Like humans, they may be recent inhabitants of an area but are they occupying an environmental niche that we created ? Australians have been very reluctant to come to the party when it comes to eating kangaroos themselves, maybe it's got something to do with us viewing roo meat as something that is only fit for the dog. So what is the dog actually eating? Is it euro chunks? Diced eastern grey? Maybe minced Bennetts wallaby? Does it matter? Maybe it is easier for us to stomach roo meat when we don't have to put a face to it ... a sort of miscellaneous meat.